BHE wellfields consist of heatexchangers placed in vertical boreholes. The standard heatexchanger is a PE100 loop of 25, 32 or 40 mm diameter. Depths to which the loops are installed normally vary between 60 to 150 meters. At the surface the individual loops are coupled via horizontal pipework to form a hydraulic circuit, which connects to the plantroom flow and return headers. Since 1996 Groenholland designed numerous wellfields and installed more than 2000 loops. Practical experience proves that reliable drilling technology, high quality loops and proper backfilling produces highly reliable wellfields. 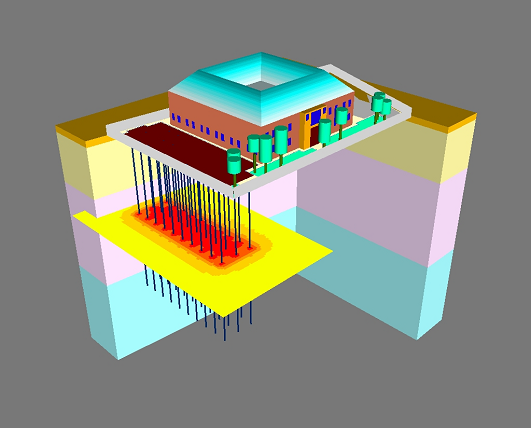 Design of wellfields involve the thermal conductivity of the borehole and the surrounding formation, thermal interaction between individual boreholes, groundwater flow and also hydraulic issues such as laminar or turbulent flow and pressure loss. Installation of BHE wellfields under the foundation of a building is an option, which we have used on a number of larger projects. Obviously the drilling and installation works are not free of risk and obviously need to be well planned and coordinated with the foundation engineering and the building process. 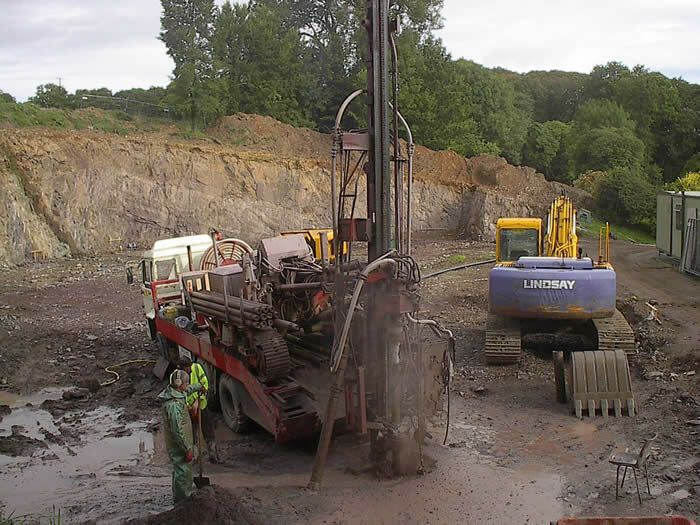 Drilling for wellfields needs to be well organized, using the suitable drilling methodology for a site and it's geology as well as containing mud, water and borehole arisings. Drill rigs and plant not fit for the task and poor site preparation and logistics are the main cause for breakdowns and loss of time on site and problems with the building program. Over the years Groenholland have installed over 1000 loops in a variety of drilling conditions using a multitude of drilling techniques. In most projects the effects of drilling on the site and building process are underestimated. 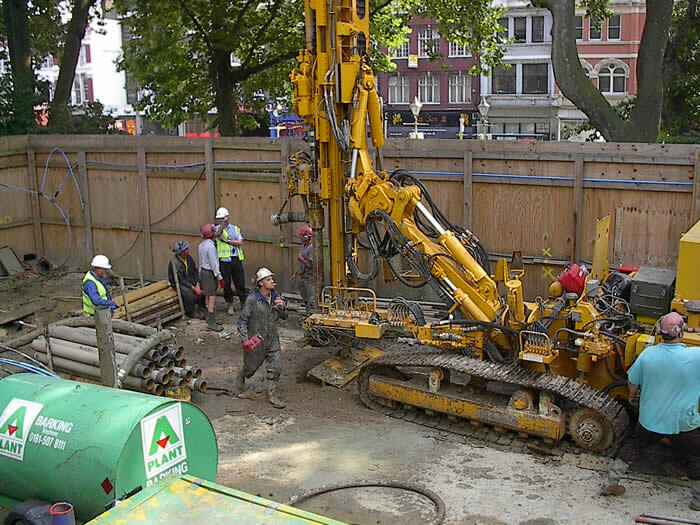 When drilling takes place within the foundation footprint of a building or where it interacts with the construction process, it is in the critical time path. Test boreholes in advance of the project will reveal risks concerning drilling difficulties, drilling progress, water usage, underground structures and containment of mud and arisings.